Sugar has been labelled the sweetest poison, toxic, harmful and recently in the documentary Hungry for Change — a drug. For years we have been told how too much salt and fat is bad for our health. But there has never been any recommended limits for sugar on food labels, despite the research suggesting that the sweet stuff we all love may actually be making us fat and sick. It does seem a little over the top to label sugar as a drug but when you start to look at the affects sugar has on the body when being metabolized, you can start to understand why. 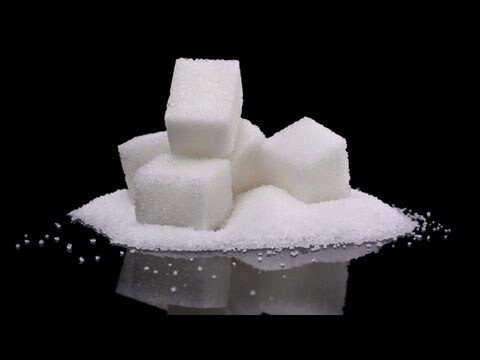 In The Secrets of Sugar a small but influential group of medical researchers is stirring up the health debate, linking sugar not just to obesity but also to a host of diseases including cancer, heart disease and Alzheimer’s. The film puts a family of four on a healthy diet to try to beat their sugar habit and the results are surprising. They talk to leading scientists – and their critics. And we ask the food industry why those ingredient labels are far from clear when it comes to how much sugar is really on your plate. 95 teaspoons of sugar. That’s how much sugar Jonathan Breedon, his girlfriend and their two children consume on average in a day. That’s not from eating cupcakes and tubs of ice-cream – but from a fairly typical American diet. One can of Campbell’s tomato soup contains more than seven teaspoons of sugar. While a average size bowl of vanilla flavoured Activia yogurt contained almost fourteen teaspoons of sugar. But for the food industry that relies on sugar for most its products, is on also one of the largest manufacturers in North America. Generating almost a trillion dollars in sales each year. And yet the nutrition labels on the back of the packages, still don’t list a recommended limit to how much sugar each of us should consume everyday.